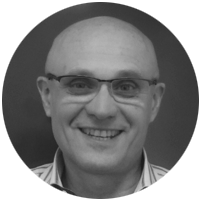 Luca has a master degree in Physics a PhD in Particle Physics from the University of Torino and more than twenty-five years of experience in Information and Communication Technologies with Telecom Italia. He is coordinator of the activities in standardisation for wireline technologies since 2006, managing the participation in the relevant standards bodies in collaboration with the coordinators of the other standardisation areas in the company. In ETSI he has been previously covering different leading roles in varioius technical committees and he is at present following the Experiential Network Intelligence ISG activities with coordination roles in the PoC group and as rapporteur. In ITU-T he is co-Chairman of the Working Party 1 (IMT2020 or 5G) of SG13 for the study period 2017-2020 and has been previously part of the management team of the FG IMT2020 for the pre-standard activities. He is leader of a WG with focus on IoT in the national standard group CEI. In the past years he has been Vice-President of the Open IPTV Forum. Previously he worked in the optical communications and networking R&D fields, with management roles in internal and external collaboration and consultancy projects. He is co-inventor for several patents in TIM portfolio.